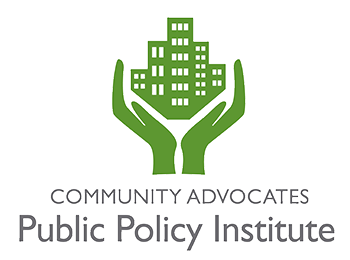 One of the great things about working at the Public Policy Institute is being able to incorporate local members of Public Allies into our workplace. Public Allies helps to train and place diverse up-and-coming leaders in local nonprofits so they can fulfill their mission to help others and create lasting change in our communities. This year we’ve had the pleasure to welcome Public Ally Amanda Clark, who devotes most of her time to the 53206 Drug-Free Communities Project but is also willing to jump in and help when needed. “Being an active member of Auer Avenue’s Community School Leadership Team and working with them on behalf of the 53206 Drug-Free Communities Project has granted me with the opportunity to establish a very personable relationship with the staff and students at Auer Avenue. Staff expressed a need for support in many areas, but mainly with the food pantry. I began volunteering by helping distribute food at their monthly community food pantry. 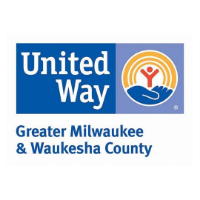 Through volunteering at Auer Avenue’s food pantry I have had the opportunity to form rapport with those who from the community that regularly come to the pantry and those that oversee the distribution of the food. I also used this as an opportunity to disseminate our “Talk They Hear You” brochure, which helps parents/caregivers initiate the conversation with their youth about the importance of refraining from underage drinking, to over 200 families. “With the assistance of Ms. Jennifer Johnson (Special Education teacher) and support from other partners on the CSLT team, we started a mentoring group for students who weren’t very responsive to their PBIS (Positive Behavioral Interventions and Supports) plan. I think the greatest impact I have had during my time of service has been through mentoring. Mentoring youth in your community is a powerful way to invest in the next generation. While meeting a young person once or twice a week may not seem like a huge impact, I believe I am creating positive change in the lives of these students. As a mentor, I hope to become someone that youth look up to and trust. For me being a mentor has been a rewarding experience that allows me to be the person my younger self needed. It has allowed me to learn more about my strengths, weaknesses, knowledge, experience, and beliefs. Mentoring gives me the opportunity to learn by doing. 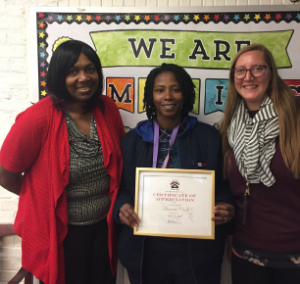 Amanda was recently presented with a certificate of appreciation from Auer Avenue Community School and we wholeheartedly agree she’s an asset to be appreciated. Keep an eye on Amanda – she’s doing great things! 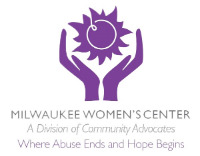 Public Allies Milwaukee will celebrate their 25th anniversary on April 15 at Turner Hall Ballroom. Get details and RSVP at this link.